I'm accumulating these stats as part of my ongoing review to demonstrate the nature and character of my online 'publishing,' but it is also part of my own reflection on the very nature of blogging. I have found that there are only a few factors that really determine how 'popular' a blog is. The more you post, the more visits you get. It makes sense, of course, but it also shows how blogging can become a harsh taskmaster that consumes more and more time. You'll get more traffic by being provocative and argumentative than by being informative. 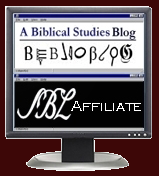 I intend my blog to be more of an informative site, so it won't really ever reach blogdom star status. You'll get more traffic if some other more popular site links to you. I am careful to always link to my sources, and the more dense the network of links, the more traffic. Blog about FREE, downloadable resources to increase traffic! 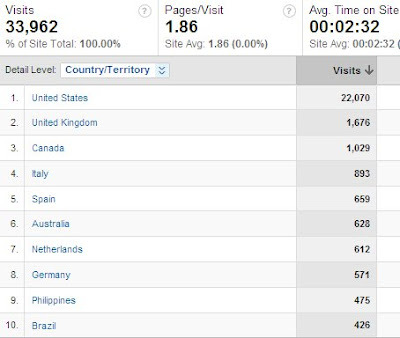 It's surprising that Italy (4) and Spain (5) are so high on the list of countries with the most visitors to the blog. 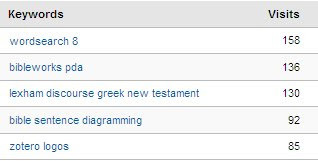 As far as I can tell, there are a few key sites in these countries dealing with my blog topic, and if they link to my site, I get a bunch of traffic. In any case, I really enjoy seeing the global sharing that is possible with my blog. I'm planning some additional posts reviewing 2008 and looking ahead to 2009, so stay tuned! Internet web traffic is measured to determine if the site is popular or not and also to know the pages or parts that are available in that site. Web traffic is examined by seeing the traffic estimates that are located in the web sever log file which shows the list of all the pages visited. Every page is therefore a file, but images are also considered as files. If you serve any file, a hit is rendered and therefore a page with 5 images could generate 6 hits (that is the 5 images plus the page itself). A page view is begotten when a visitor call for a particular page within the web site. Every visitor will beget at most one page view depending on the site. There are some of the traffic courses and e-books that you can read online, but these books sometimes miss something. In these books you can find out that the programs available are out-of-date or are totally wrong. This is so because of the changes that the internet has gone through in the past years.